I have been so busy trying to finish several projects which I had committed to it and I was so frustrated because I couldn’t share any of the work I was doing… but now my last project is live I am BACK !!!!!! It has been an amazing few months! I have been working flat out on several things.. I should also say I did take on board a bit too much and at times I was slightly overwhelmed by the all things but now that all the blankets are available it makes it all worthwhile. 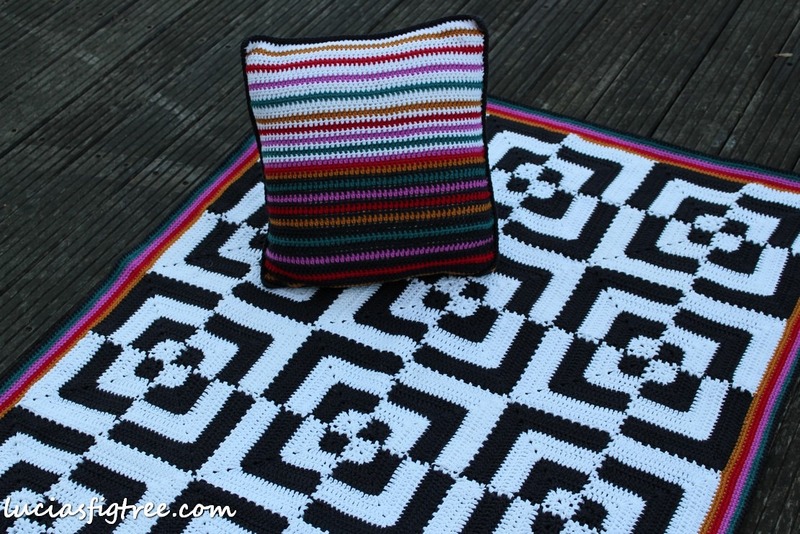 The final chapter was to deliver my last blanket to CROCHET NOW’s HQ last month! very exciting and a bit scary too… The RISE &SHINE cal has been a real labour of love! to create something to keep an audience interested and more so, happy to continue on a project that is going to run over 12 months it is NOT an easy task!! I really hope you will like it, and with trepidation, I am waiting for the reactions online as it went live TODAY !!!!!!!!! here are some pictures, also you will find pieces of information on the CAL on Crochet Now website… I have a few more pictures but I will post them as the CAL progresses. The blanket is a CAL and will run over 12 months. What I can say, is that it is really great fun, it is a project for everyone and I hope you will love it. It is all about texture, interesting techniques, and more so COLOUR!!! I don’t know where you are based around the world, but for us in the UK has been one VERY LONG WINTER!! we had snow in Scotland up to last weekend.. really I’m still thinking spring will never come this year!! so the brightness of the colours of the Rise & Shine kept me entertained during the winter months. To be able to create something it can be really tiring and sometimes quite frustrating too…especially when things do not go to plan, but I loved every moment of it. 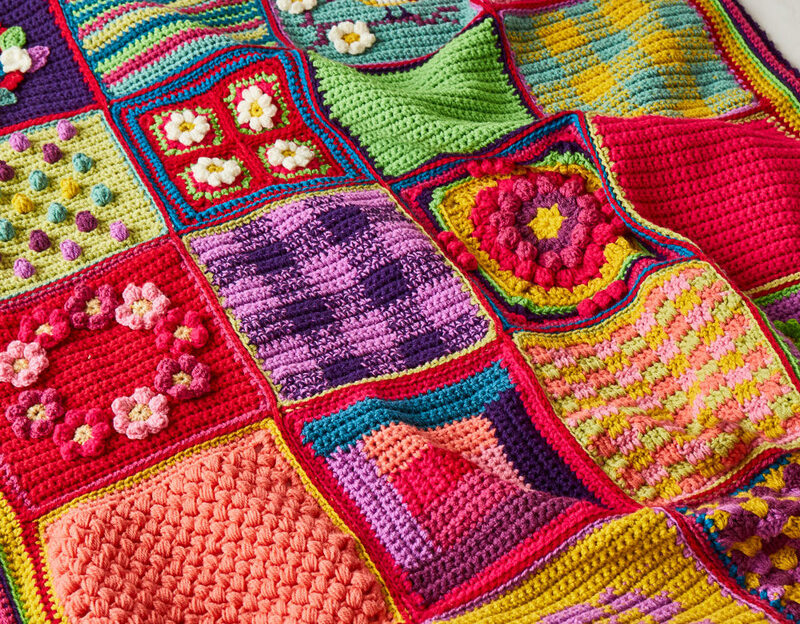 and I wrote the pattern with the help of the ladies at Poppy’s for the Walrus blanket too..they are both available on my shop at Poppy’ s https://www.poppys-holmfirth.co.uk/lucia-s-shop/lucia-s-shop and soon should also be on my Ravelry’s store. I will write all about my Poppy’s adventures as it deserves a proper special blog entry! everyone made me so welcome! and it has been amazing to be able to collaborate with others! but I will do it in a separate entry, this one is just for touching base, dust off the cobwebs out of my blog and just let you know I am back again. 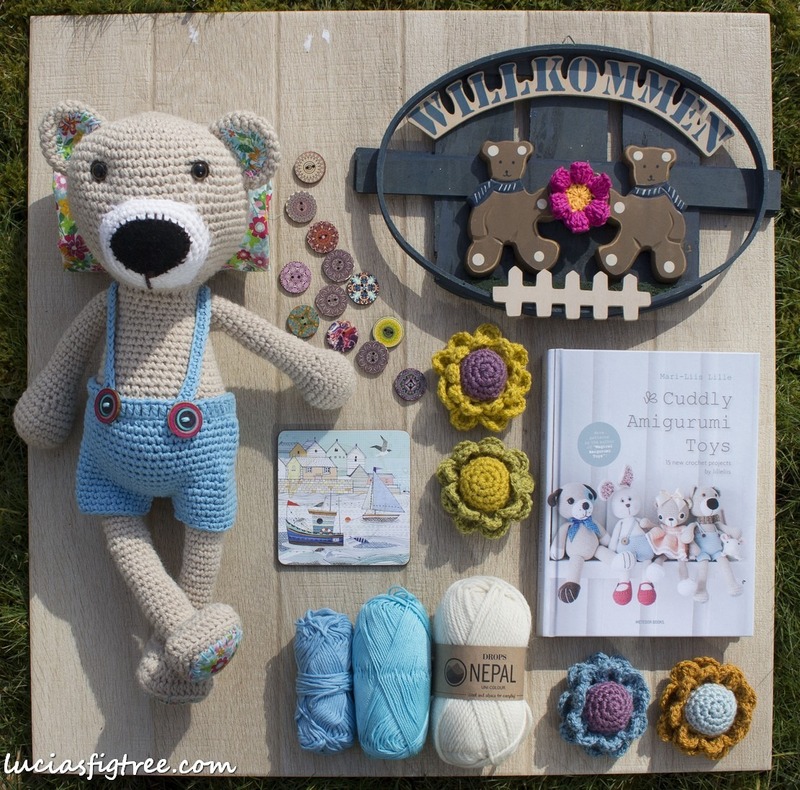 It all started because I needed a rest from Blankets and I wanted a little project.. if you follow me on facebook you might have guessed I got a bit obsessed with it! 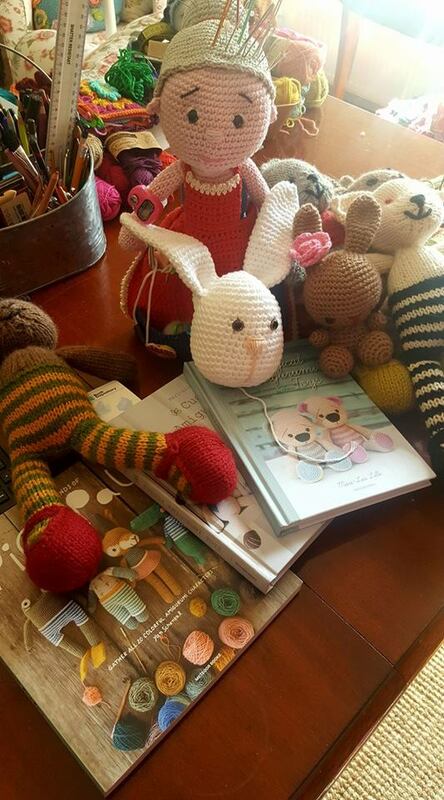 no idea why the amigurumis are so addictive! it might be the fact that you work on a tridimensional plane and that is a bit of a novelty to me… so I started with a Crafter Granny… then I made a bear, then I made another bear..( which I still have to complete)..then I tried a bunny but looked like out of a horror movie …then my son Giuseppe asked me to make a chameleon for his girlfriend that loves Tangled’s Pascal.. so I just finished that a day ago ready for her 18th birthday.. I am planning other things too… but I needed a few weeks of not designing, recharging my batteries by just enjoying other people amazing patterns!! and I feel the energy coming back which is a good news indeed!! do not take too much work on!!! walk and not be a couch crocheting potato! organise some new exciting material for classes ( because I love teaching!!!) and put some dates in the diary. last but not least go to London to see my daughter Valentina!! that is all for today! thank you for all your support, I love your messages and all your lovely comments on Facebook and Instagram! I understand how frustrating it must be not to be able to get either the patterns or the kits for the Eastern Jewels and the Frida’s Primavera because often they are sold out or are not available as digital downloads , but as I replied to many of you, I just designed both the patterns and I am not involved in how they are distributed. So please get in touch with ether Stylecraft or Janie Crow if you need some updated pieces of information. My only direct contact with the retail status is Poppy’s and I know they have sold several packs of the Eastern Jewels, ( the Frida’s Primavera is just available from Jane ) but again they too, as retailers, depend from Jane and Stylecaft for the printed patterns so please, if you are interested, leave your email with Helen’s at Poppy’s and I am sure that if the packs will be back in stock she will message you . Great pist Lucia. Enjoy some ‘me’ time and hopefully some warm weather yere in Scotland. I like to crochet outside. Wow what a post – there’s so much to take in I’m going to have to read it again! 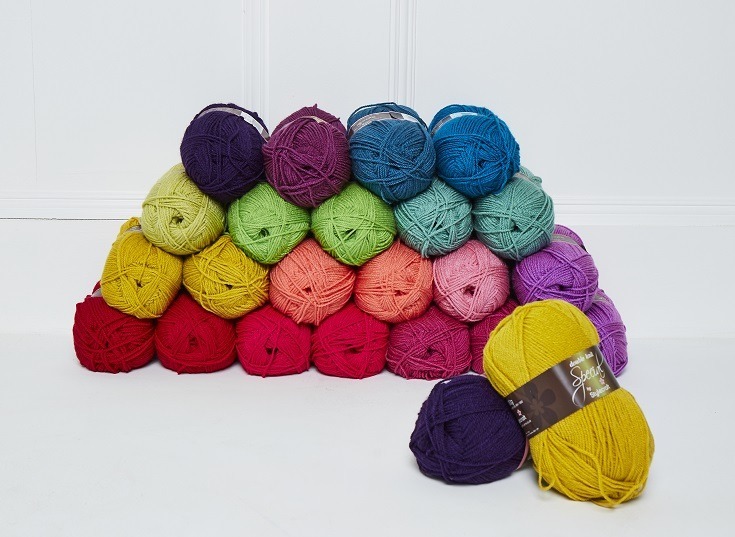 Any chance of a link to your Ravelry store please? I’ve been looking for it, but it has successfully eluded me! Thank you! Thank you so much, Lucia! So good to see you back again Lucia! I have missed reading your posts. 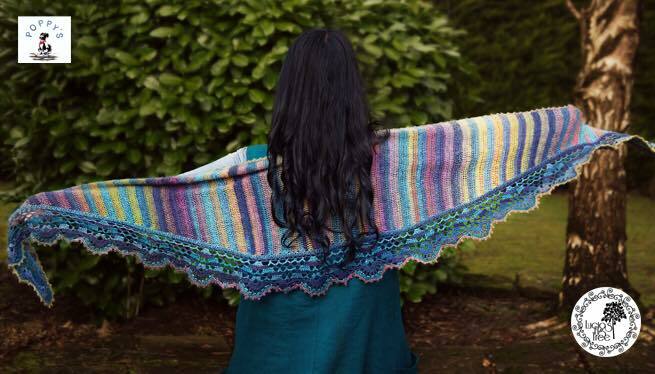 And now more blankets to add to my growing to do list…Planning to start my second Valentina shawl soon. 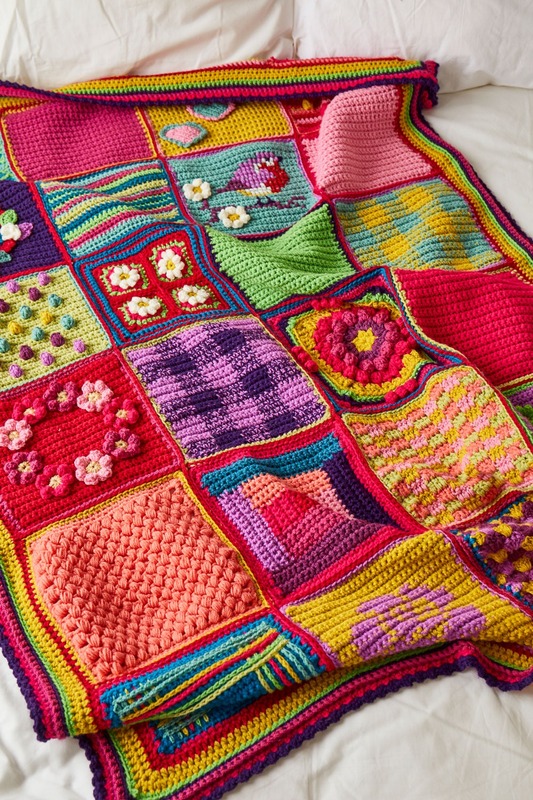 Love the colours in your CAL, so bright and cheerful. 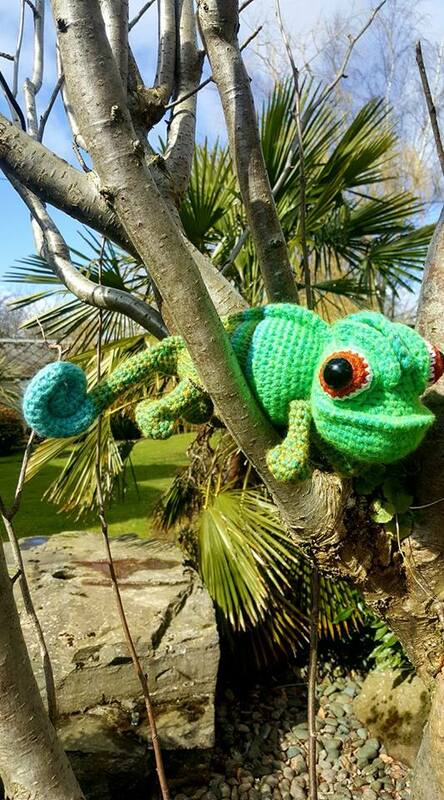 I can see how they would brighten up a long, cold winter.Here in Australia we are having the opposite problem with summer dragging on and on and no rain for months, too hot to do crochet or much else come to that. I will put it on my to do list for when it cools down. I’m not sure if the magazine is available here (in the shops) but it will be a couple of months behind anyway, so will have to look on the net.Thank you for your wonderful inspiration and I think you certainly deserve to put your feet up for a well deserved rest. Looking forward to the CAL with Crochet Now magazine. I have subscribed specifically for the pattern. A bit worried about some of the tougher looking squares though. Will there be any video tutorials to follow along with? I didn’t get an answer from the group because the only social media I belong to is Ravelry and I couldn’t find anything on there, but I did contact Crochet Now magazine and Jenny kindly emailed the correct details to me and said they’ll update them for the next issue. 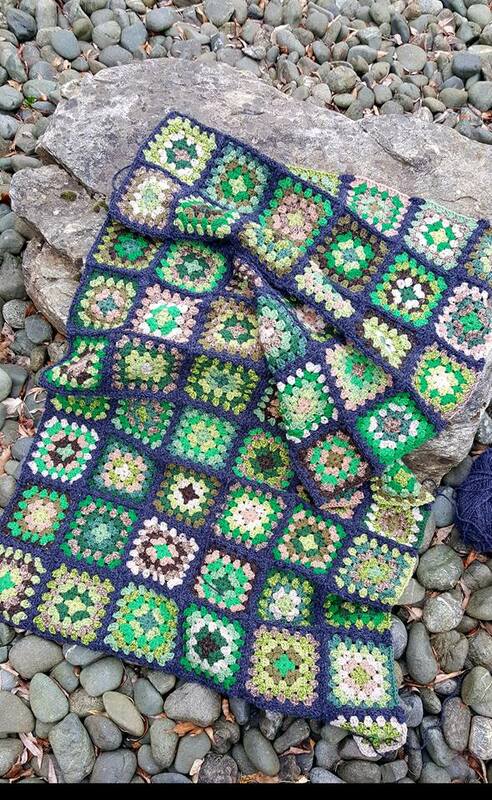 Thank you so much for your reply and I think I shall be OK now, but as I said, I’m a novice crocheter and needed to be sure before I work the whole blanket and then find out that it doesn’t fit together. What a nightmare that would have been! I’m ready to get back to my hooking now, in the garden, I think, as it’s gloriously warm here today. way are there videotutorials for the rise and shine, I would like that but if so nobody will by the magazine, hmm…? 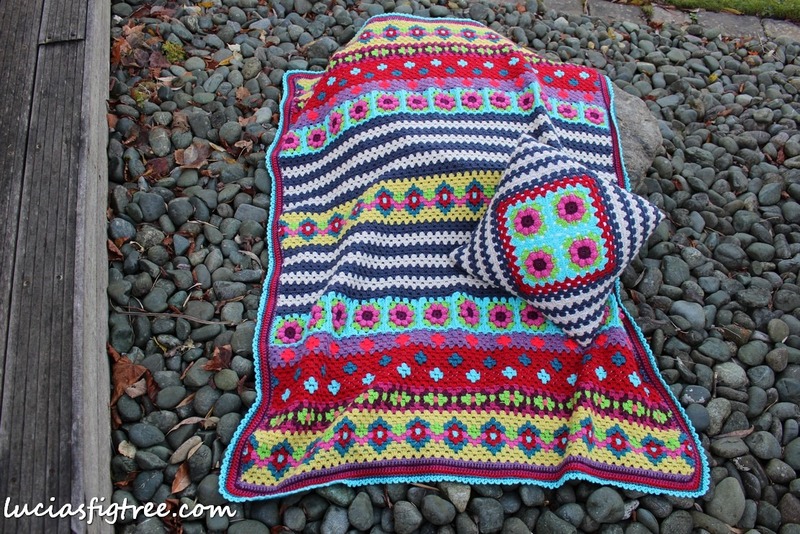 Sorry Gudrun, there is no video tutorial for the Rise and Shine blanket exactly because it is promoted by the magazine.